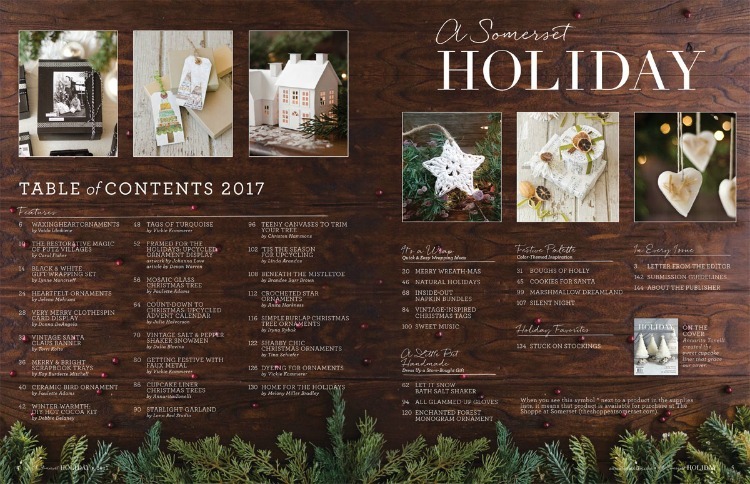 With the hustle and bustle of the holiday season, I almost forgot to share my feature in A Somerset Holiday Magazine with you. 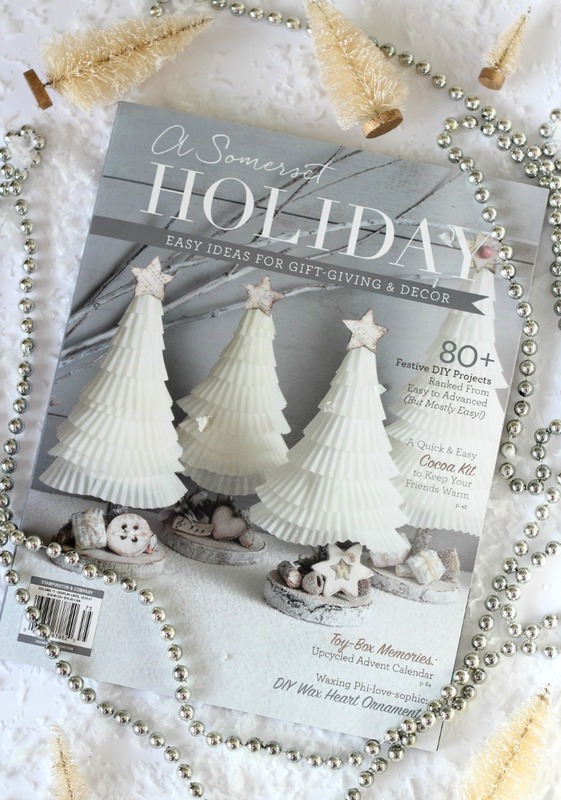 No, I didn’t get the cover (aren’t those mini trees made from cupcake liners adorable? 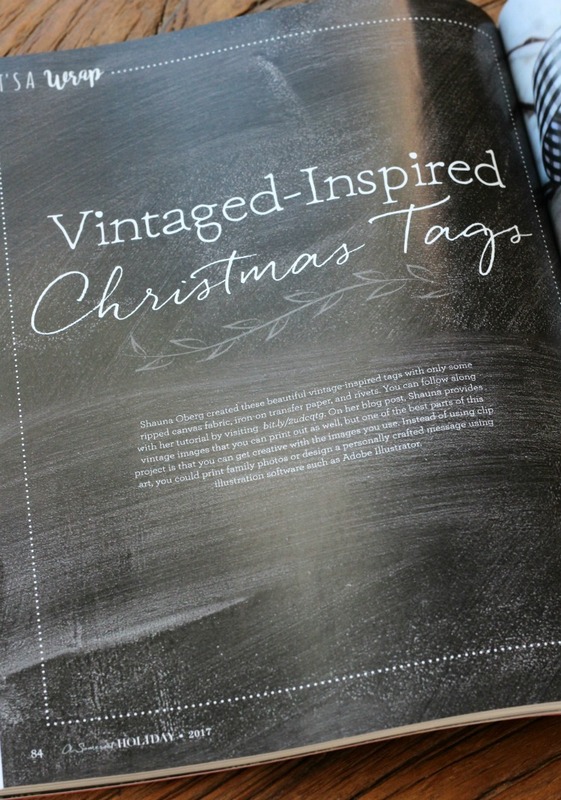 ), but you will find my vintage-inspired Christmas tags on pages 84 & 85 of this gorgeous magazine. Still one of my favourite Christmas gift wrapping projects to date! Of course, the shabby chic gift toppers I shared earlier this week are right up there (an even easier project I encourage you to check out if you haven’t already). 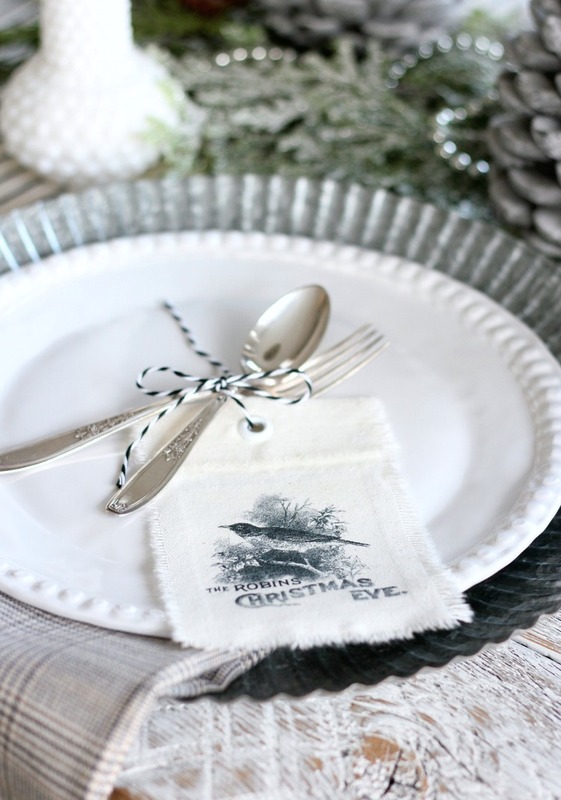 For my Christmas home tour this year, I used some of these vintage tags to decorate the table. I love the shabby chic vibe they add along with my vintage silverware (a thrift shop find) and a bit of baker’s twine. 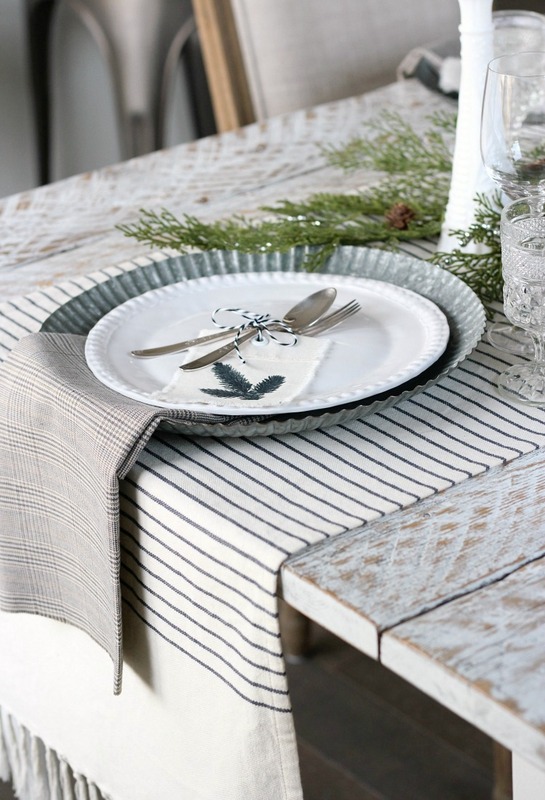 They make great table favours for holiday dinner parties, don’t you think? So pretty as ornaments on the Christmas tree. Or, consider hanging them from some string to create a banner or garland. 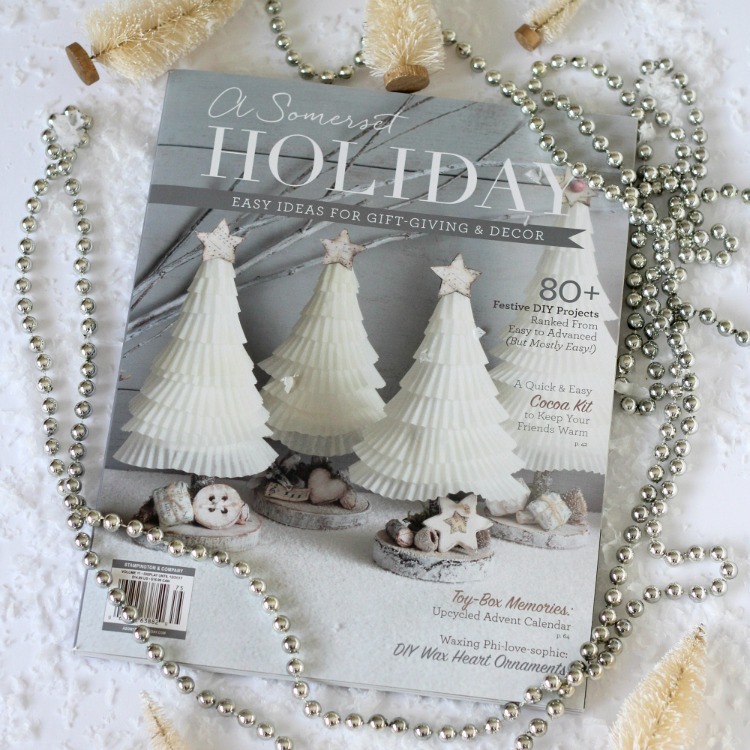 Inside the magazine you’ll find other Christmas gift wrapping projects, lovely ornaments, stockings, handmade gift ideas and more. I like the hot cocoa and fuzzy socks kit. So cute! 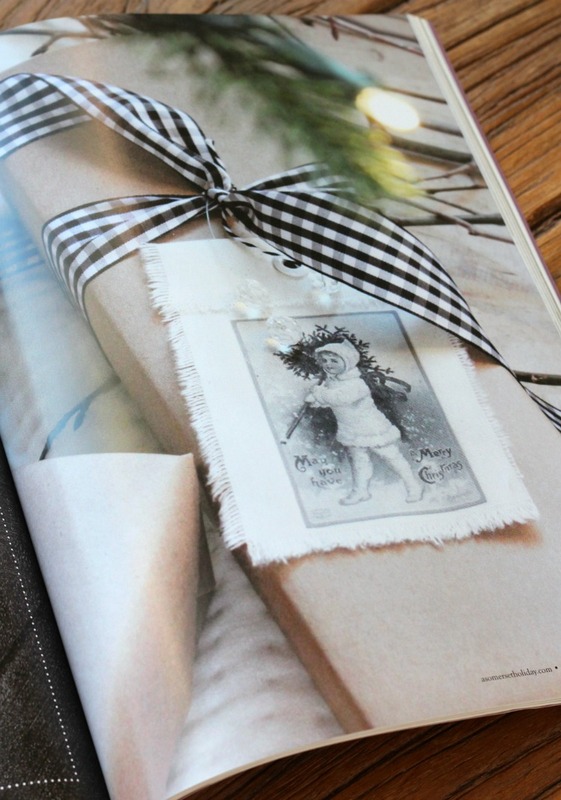 Makes a lovely gift for the crafty person in your life. And, even though we’re getting late into the holiday season, they’ll be all ready to get their craft on next year! Of course, all of my other Christmas projects can be found in the Winter & Christmas Project Gallery. Knock yourself out! Congratulations on your magazine feature! I can’t wait to get my hands on it. Thanks for sharing!